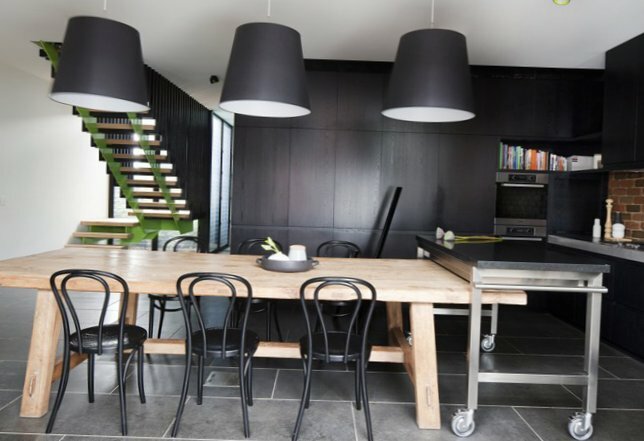 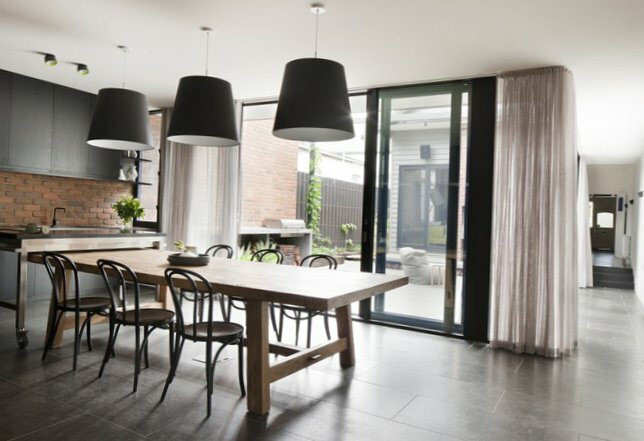 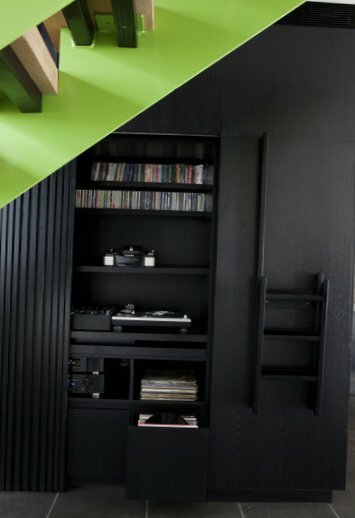 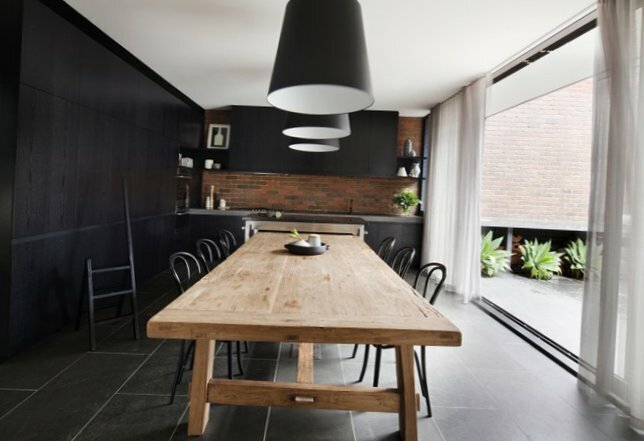 This modern kitchen with black facades and massive wooden table in the center, just amazing! 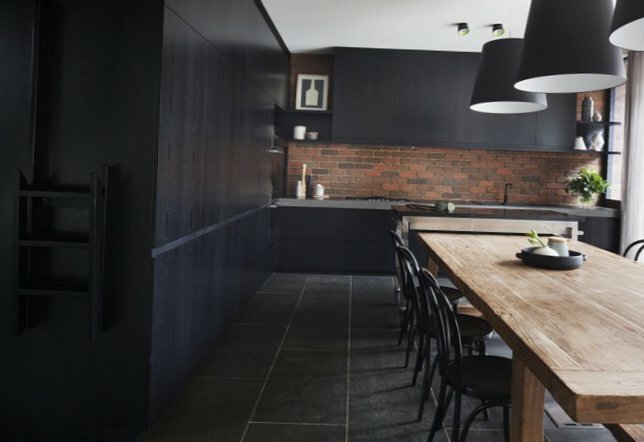 It is impossible not to note how well the looks brick on one of the walls of the interior. 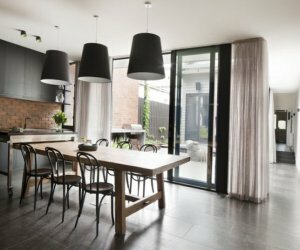 Of course, dark shades simply not survive without large number of light – the kitchen from the courtyard separates wonderful sliding glass partition. 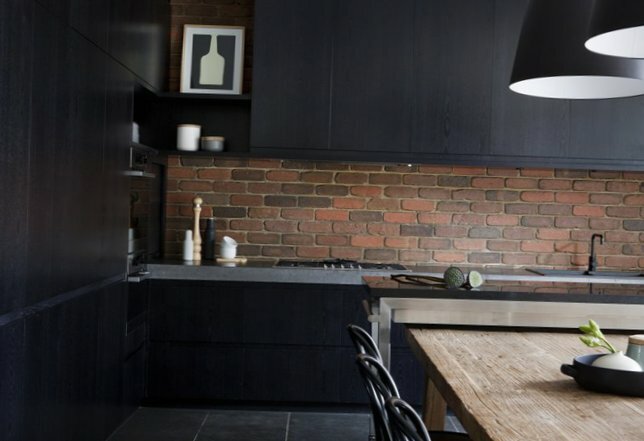 Very stylish kitchen!